Fun micro aid for navigation anywhere - even underwater. Clips on a sleeve, strap or map. This may be the ultimate device for simple outdoorlife. It's not a GPS watch, so no batteries, satellites or software to worry about. Always ready to use. Very reliable, durable and low cost. 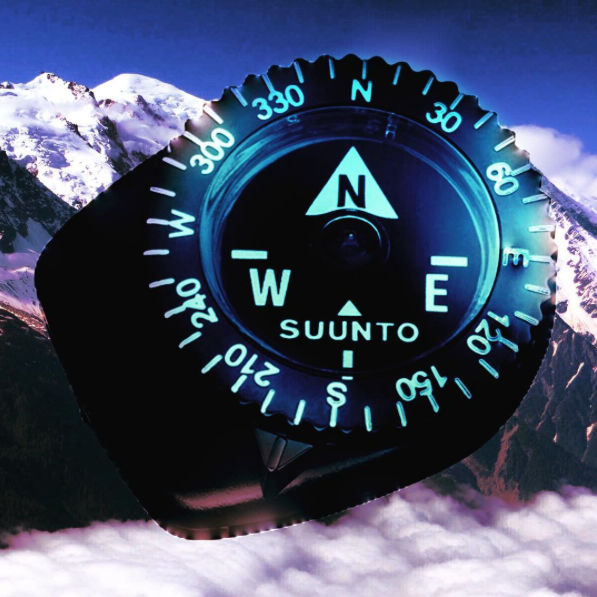 With this compass, a good map and a little brain-based intelligence you can figure out your distance, speed, altitude and elevation gain. With a simple tool RPE (Borg Rating of Perceived Exertion) you can even measure the intensity of your physical activity. Clipper is not an iPod either, so if you want music your best bet might be to sing yourself.